To tidy or not to tidy? That is the question at this time of year! And I’ve decided, NOT (too much). OK, so the lack of daylight hours has a lot to do with my decision. I work full time, so there’s little opportunity to get out amongst the flagging perennials Monday to Friday, and the idea of gardening by (super)moonlight this week has been hampered by cloud. But, let’s face it, for those of us trying to encourage wildlife into our gardens, the traditional end-of-season purge of autumnal debris is no longer the done thing. We’re no longer advised to ‘prepare our gardens for winter’ by slashing everything to the ground and covering it in a thick blanket of mulch. Instead, we’re encouraged to loosen the tidy rein and let nature do what nature does best. 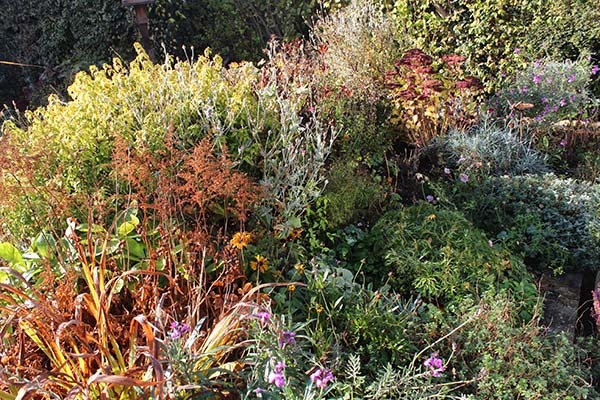 Yes, my borders may look chaotic for a few months, but that frosty dishevelled jumble of vegetation will protect the more tender perennials from frost and provide shelter for a host of beneficial insects, which in turn will offer protein-rich food for the birds. That’s not to say that I’m letting myself off the gardening hook completely this month (plus, I do enjoy getting out in the garden at this time of year). For example, it’s not a good idea to leave rotting material lying on top of perennial crowns. 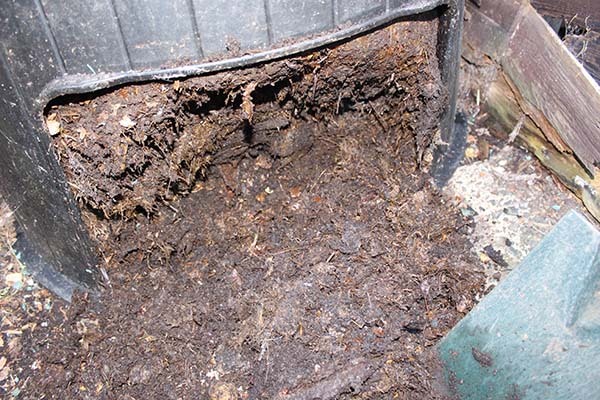 It can cause winter rot and will encourage slugs to hang around. 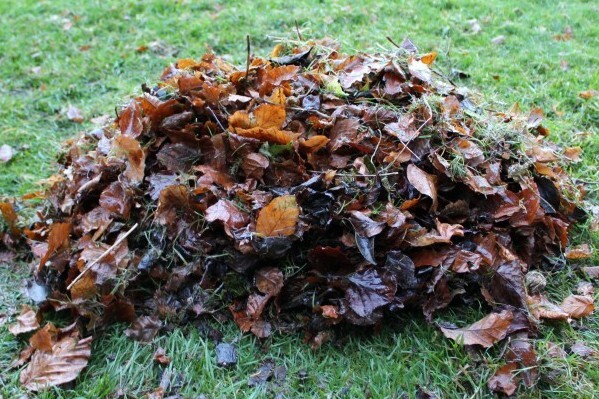 So I’ll be clearing away that kind of sludgy leaf debris from the top of my hostas, and adding it to the compost heap instead. I’ll also be dumping plenty of compost onto the beds, where the worms and micro-organisms will work their magic over the winter, putting back some of the nutrients that the plants have taken out over the growing season. And I will probably rake up a few leaves from the lawn and redistribute them under my shrubs to break down in a more beneficial place. But for the most part, I will be leaving well alone, hoping that the insects and frogs will hibernate in my leaf litter, and seeking my own refuge in front of the lounge fire.